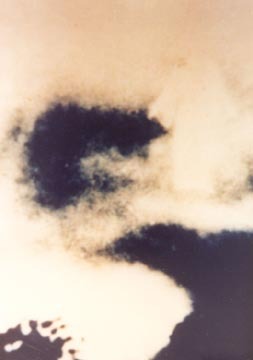 Picture taken during Hurricane Hugo. When Stephen Wright caught air with his bicycle for the last time and crashed fatally in a Hartsville park on Thursday February 8th, his sudden death shattered youthful illusions of invulnerability and forced people to wrestle with the certainty of a death that could come at any time and at any age. Many unusual things happened around his death. Three weeks before, a girl had had a dream where Stephen died and where there was a car full of people singing "It is Well With My Soul." On the night of his death there were at least two cars from my church that did this, and I was in one of them, singing "It is Well With My Soul" on the way to Vanderbilt Hospital. There were two emergencies that night at Grace Baptist Church in Hartsville, and while most of the church was driving towards Vanderbilt, another man was driving to attend to the other emergency while still praying fervently for Stephen. Suddenly his burden to pray for Stephen was lifted and he saw Stephen's face, a very happy face, and Stephen said just two words, "I'm home." Then Stephen disappeared into the darkness of the night. The man who had this vision is probably the calmest, most rational, most level headed man in the church. He doesn't direct his life through dreams and impressions, and he would be the least likely to have an experience like this. Perhaps God chose him so that the rest of us would believe. If the angels that protect our children truly see the face of God, surely angels were present when Steve crashed. However, this raises the question: if angels were there, why didn't they prevent the accident. It is good to ask these questions and to not run away from them. At Stephen's funeral his Uncle Ken faced this question squarely when he said that God did do something for Stephen; he did it two thousand years ago when Jesus died for him. Indeed, God did even more for Stephen two years ago when he shattered his illusions of being ready for heaven, showed him his need to repent and believe the gospel, and brought him to a saving faith in Jesus Christ. It was our privilege to see the way Stephen's life changed after this happened. But what about the angels, those angels that stand before the face of God, why didn't they prevent the accident? At my church, we don't worship and praise angels, although we are grateful for what they do. And angels don't want praise from us: when Jacob wanted to know the name of the angel with whom he wrestled the angel asked, "Why do you need to know my name?" But why were the angels there if they weren't going to prevent Stephen's accident? In considering the answer to this question, surely God has used angels many times to protect us. But what about when the time comes for us to die, don't we need angels then, as well? After Stephen went into cardiac arrest, it was impossible to keep his heart beating for longer than two minutes. Certainly this would have been a scary time for Stephen had not the angels been right there with him. Furthermore, Stephen didn't know which way to fly to get to heaven; he needed the angels to take him there. And when his angel stood before the face of God, did he hang his head low as one who had failed? I think not. Indeed, he probably said something like this, "Mission accomplished. Stephen is home."